Vue Bathrooms offer a complete bathroom renovation service by Ecobuild Qld Pty Ltd. A family owned and operated business, Ecobuild Qld is based in Brisbane. Vue Bathrooms aims to offer a personalised service focused solely around bathrooms and bathroom trends. Thanks to being a preferred Queensland insurance repairer for 5 years, Ecobuild knows what works (and what doesn’t) to ensure your bathroom stands the test of time. Bathrooms are an integral part of the family home and one of the most used spaces, these days bathrooms are not only seen for functionality but a space to relax and unwind, and a high quality bathroom can add significant value to your home. We take care of all certification and approvals and provide efficient, affordable design and installation services on each and every renovation, let Vue Bathrooms quote your bathroom today! Divine is a leader in the home renovation industry and specialises in Project Management of quality kitchen, laundry, outdoor kitchen and bathroom renovations in Brisbane. Our full service offering includes: 1 In-Home Design Consultation 2 Experienced Designer 3 Design Centre 4 CAD plans & drawings 5 Fixed price contracts 6 Quality Brands + Products 7 Project Management & Coordination 8 Guarantee Quality We are here to make your renovation easy. Don’t just take our word for it. Please view our customer testimonials, gallery of work or videos. Contact us to organise an In-Home Design Consultation now. We would love to hear from you. We are a family owned and operated building company that specializes in complete bathroom renovations from demolition to final installation. In over 12 years we have renovated over 700 bathrooms in the Brisbane area, and have hundreds of satisfied clients who are happy to refer us to their friends and family! SMS Projects are specialists in designing and installing a wide range of bathrooms, kitchens and laundries throughout Brisbane. SMS Projects will work with you on specifics about your renovation project, including design, dimensions and best use of available space. We have a reputation for creating practical solutions for your ideas and visions. Specializing in domestic and commercial bathroom construction and renovation, Bathrooms Are Us has been servicing metropolitan Brisbane, the Gold Coast, and the Sunshine Coast for more than 20 years. They also have an online bathroom product store. Founded by Randall Morrison, Bathrooms Are Us designs and renovates a large number of elegant bathrooms each year. The company is proud to have received many accolades for bathroom design; a tribute to exceptional results the team is known for. The friendly staff at Bathrooms Are Us even offers a full custom-made cabinetry service and has the support of some of the industry's leading suppliers. With a quality guarantee, Bathrooms Are Us provides superb craftsmanship and professionalism. Bathrooms Are Us is not limited to just bathroom renovations, so contact the team to design and build your brand new bathroom, laundry or powder room today. We provide a complete, start to finish bathroom renovation, and can assist with advice, design and product sourcing for your new bathroom. Unlike many other bathroom renovation companies, we do not directly sell bathroom fixtures and fittings. As such, we source products from the best range of specialist suppliers. This means we can provide our clients with a broader range of products and cost competitive options and are not limited in a narrow range of fixtures and fittings. If you need bathroom renovations in Brisbane that will give you the bathroom you have dreamed of, Brisbane we are the number one choice. From the South to the East of Brisbane, our company has a reputation of being renovators that deliver. Our expertise and experience in home building translate to your best possible experience in bathroom renovations in Brisbane. We know exactly how to optimally handle our clients’ unique requests and design ideas. We give you exactly what you want, at the best possible price – no hidden charges, guaranteed! From the East to the South, our team of renovators can give you the best bathroom renovations Brisbane has to offer. We will give you honest, hassle free quotes with no hidden charges guaranteed. Your bathroom should be a sanctuary and we aim to create that every time for our clients. At Back2Life Bathroom Renovations our experienced team work seamlessly to bring your bathroom, laundry, ensuite and powder room to life. Each renovation is managed to ensure constant communication between all parties to provide you with a beautiful laundry, kitchen or bathroom renovation, and peace of mind. Owners, Luke and Dan, have over 20 years combined experience in the building and construction industry both nationally and internationally. Since returning to Australia Luke, a qualified plumber has focused his skills and expertise on bathroom renovations in Queensland, Brisbane. Dan has many years of experience in the civil and commercial construction industry that perfected his project management and quality control skills. Our promise to you is a laundry, kitchen or bathroom renovation delivered on time and on brief. At Back2Life bathrooms Brisbane no job is too big or small and we treat each job with the highest level of attention and respect, delivering quality laundry, kitchen and bathroom renovations every time. We can offer bathroom design and advice and work with a network of contacts to stay on trend and up to date. We produce outstanding bathrooms and laundries to suit a range of budgets. The end result is always a quality renovation that is built to last, giving our clients the best possible value for their investment. 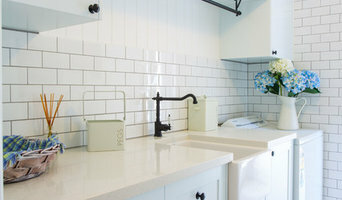 Otal Renovations is a Brisbane based, family owned company with extensive experience in Bathroom & Laundry renovations. We are committed to going the distance and exceeding client expectations. We promise to deliver a comprehensive building service – from planning to completion – using a quality team who care about your building vision. Renovations are disruptive, there’s no escaping that fact, but our professional team take every precaution to respect your home, time and personal space to minimise the effects of your renovation work. Communication is important to us. We keep you updated throughout the entire project and give you he right information and advice to help you make informed decisions for the best outcome. Our team are polite, respectful and, above all, professional trade personnel! Having worked together on numerous bathroom renovations, they’re used to working as an organised team to provide great results in a timely, efficient manner. We strive to provide a faster, smoother, more streamlined renovation that you’ll be enjoying in no time! Elle Decoration is a multi-disciplinary interior design practice for Residential, Commercial, Corporate, Hotels and Resorts. From contemporary, modern to classical, no matter what design style you are seeking, we will assist you to achieve your projects. About B2F Concepts: our process to inspire your build in Brisbane 10 years of experience as a Brisbane builder has honed how Dan plans, manages and completes your build. B2F Concepts uses a tight-knit, small team with intersecting skills and abilities to deliver projects which are clearly mapped out in consultation with the client. Dan understands that the process of building or renovating can be inconvenient so he establishes a timeline and key checkpoints so you always feel connected to the work on your home and can plan your life around the build. Communication is an essential tool in the building process, make sure you choose a builder who can understand what you need from your back deck to your front! The B2F Concepts team: it takes a family to build a home The high quality of the Queensland building industry makes it hard to compare companies; all Qld builders should be fully QBCC licensed and insured (which we are!). B2F Concepts specialises in ensuring the entire process, not just the end result, is an engaging experience. As the Director, Dan co-ordinates his team of two carpenters and an apprentice while remaining your direct point of contact to keep you clear on the objectives and workflow of your project. Much of our impressive post build clean up is aided by their little eagle eyes and high level of quality control! Master Bath Renos offers a masterful bathroom renovation service. While we do all bathroom renos, we specialise in open showers with the tile flowing into the shower without a hob or shower screen. See our website for pictures of our work and satisfied customers! bathrenosredcliffe.com.au We serve on the Redcliffe Peninsula or near. Our tradies are clean, polite and will let you know when they are coming and going. We do all the installation ourselves, including ordering, demolition, waterproofing, tiling, glass, and clean-up. We have subs for plumbing and electrical work. We are here to serve! 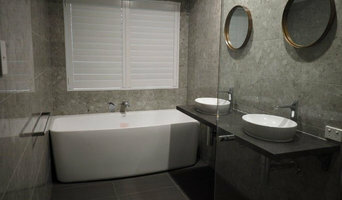 Brisbane Bathroom Bliss are the experts in bathroom renovations in Brisbane. With over 30 years experience, certified builders license and BSA insurance - there is no one better to trust in Brisbane. Not only do we perform bathroom renovations, but we also perform other services such as laundry design, bathroom design and other renovations in Brisbane. Raffy and Andrew from Blaze Cabinets have been designing and manufacturing kitchens and bathrooms, as well as providing a wide array of custom cabinet making solutions to the Brisbane market for over 10 years. When it comes to kitchen remodelling and bathroom remodelling, you want to make sure that your cabinet making project will happen on time, on budget, and with a superior level of quality. All of our board materials are Australian made, which means that they adhere to the strict Australian standard codes that many countries don’t have. With an eye for aesthetics and a practical approach to layout and design, Brisbane, Queensland bathroom designers and renovators can help you create a well-planned space that suits both your needs and personal preferences. Many bathroom renovators in Brisbane, Queensland offer a full-design service, from concept to completion. This includes accessing the homeowner’s wants and needs to ensure they provide a functional layout and design that is also attractive and blends in with the rest of the home. In addition, designers have a wealth of knowledge in product trends, materials and finishes, and can take the hassle out of deciding upon and sourcing accessories and hardware. Find a bathroom renovator on Houzz. Scroll through this page to find the best bathroom renovators in Brisbane, Queensland. Browse photos to see how their work compares to the scope of your project, read reviews to see how others rate their work, and message them directly to to ask any specific questions.